I like to eat (and drink) seasonally. Each summer since we were married, we have spent the month of August sailing along the coast of Maine. There I indulge in my taste for Maine lobster and wild Maine blueberries. This year we are missing Maine, and I am missing my lobster and blueberries. 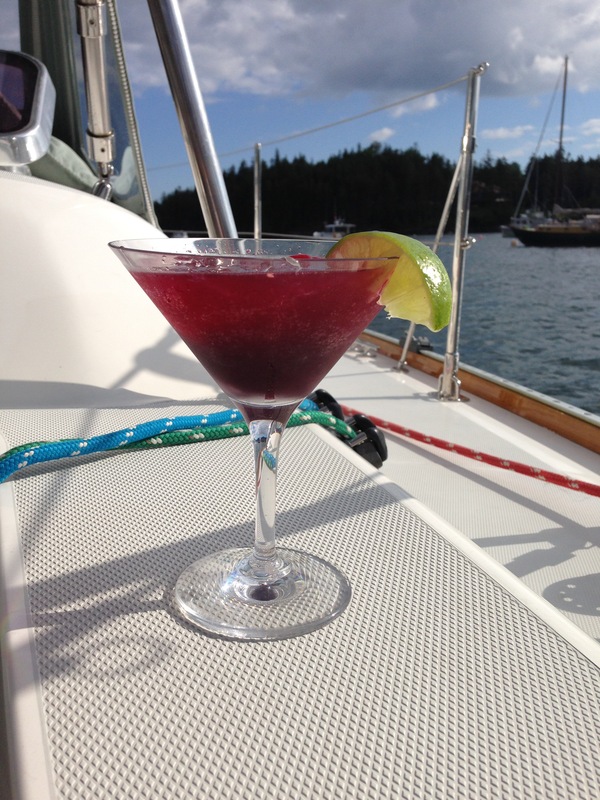 One of my favorite wild Maine blueberry concoctions is a blueberry martini. I have explored many variations of the theme. If you google “blueberry martini” you get all sorts of weird ideas, most based on some commercial brand of blueberry syrup or blueberry liqueur or blueberry juice. I even saw a blue Curaçao blueberry martini — can’t figure that one out. I’m more of a purist, though, and typically go the DIY route. My basic go-to is a simple slurry of blueberries whizzed up in my NutriBullet, Grey Goose Vodka, a little Grand Marniere or simple syrup, some fresh lemon or lime, and a garnish of some sort. It’s not a clean dry martini, but It’s very blueberry and I like it. And it’s easy to convince myself that I’m getting lots of good antioxidants and vitamins from the berries and citrus. Below is one from last summer. Alas, we are not cruising in Maine this summer, so I am suffering. 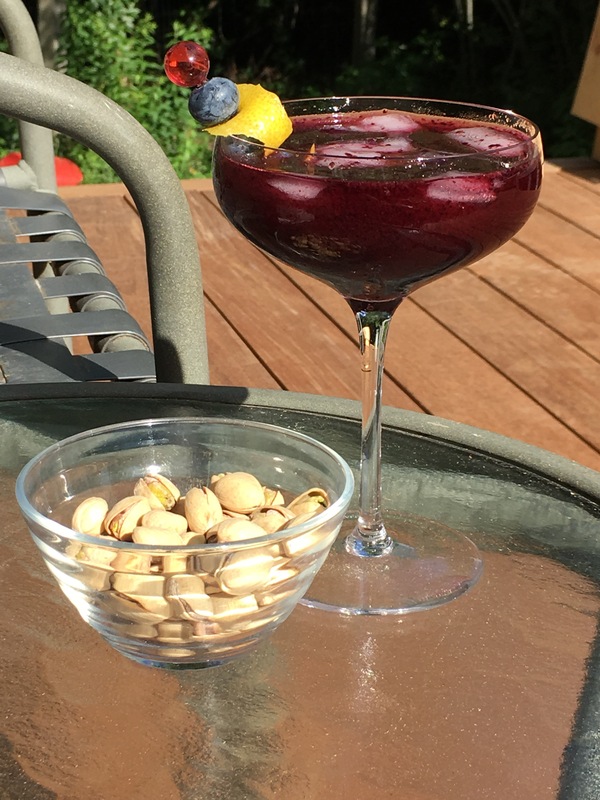 Thus to ease the pain I resorted to some local blueberries — not the same, but they’ll have to do — and fixed myself a blueberry martini to enjoy on our partially completed deck. Voila. My next effort will be more of a true martini: I will infuse some high-quality vodka with blueberries that have been slashed open to expose their pulp. I would much prefer to do this with wild Maine blueberries, but I might have to punt, at least this year. Stay tuned.